The absolute FUNNEST + my FAVORITE part leading up to the wedding was seeing this dress come to life (& getting to hang out with the amazing team who was making it!! )...D r e a m s do come true! I cannot thank the Heidi team enough for making my wedding dress dreams come true. Y'all are the best! My dress was amazing and for sure made my day so much more special because it made me feel beautiful! Thank you so much for everything! So happy to be a #heidibride! I saw Heidi for a custom consult on redesigning my mom's dress from 30 years ago and she was the BEST!! She is so so down to earth and sweet and listened to every little detail I wanted. Cannot say enough about this wonderful woman and her awesome staff! Joy was the best too!! Working with Heidi and her team was beyond a dream! Her bridal boutique was first on my list and when I walked into the atelier, I didn't have a specific dress in mind. After trying on a few of Heidi's beautiful creations, the idea for my dress with the "something blue" skirt came to life. Heidi was able to sketch out exactly what I was envisioning in a matter of minutes. My dress was so incredibly special and unique and I can't imagine having worn anything else on my wedding day. Heidi and her team went above and beyond to create the most incredible experience possible. I will forever treasure the work of art Heidi created for me to wear on the most memorable day of my life! Thank you all so much! I had an absolutely incredible experience with y'all. I absolutely loved every moment of finding my dress here. From walking in the doors to saying yes to the dress, I felt comfortable and relaxed. Heidi was amazing to work with, and to have her there, sketching out my one of a kind wedding dress was a moment I will never forget. Thank you so much for making this day on the way to our big day amazing! heidi elnora Atelier was the BEST experience ever! It was everything that I have ever dreamed of for a wedding dress experience! From the moment we walked in the door I felt like I was the most important person ever! I was very blessed to have Heidi herself working with me and she was able to create the dress of my dreams! Joy and Liz were right there to help us celebrate when I said yes to the dress! I would HIGHLY recommend making this your first stop if you want everything you dreamed of in a dress! Thank you so much for making me a fabulous dress! I cannot even begin to express how wonderful an experience I had with Heidi and her team! Two years ago while walking around Morris I peeked into Heidi’s, and told my best friend it would be the first place I’d look for a dress when I got engaged. Fast forward two years, and it was my one-stop-dress-shop! I stepped in thinking that it it would be one of many salons that I would visit, but Heidi’s team went FAR above and beyond; they made me feel so special, and SO excited to be a bride! Joy listened to me, and took me a step further than my comfort zone - and what a beautiful blessing that turned out to be! 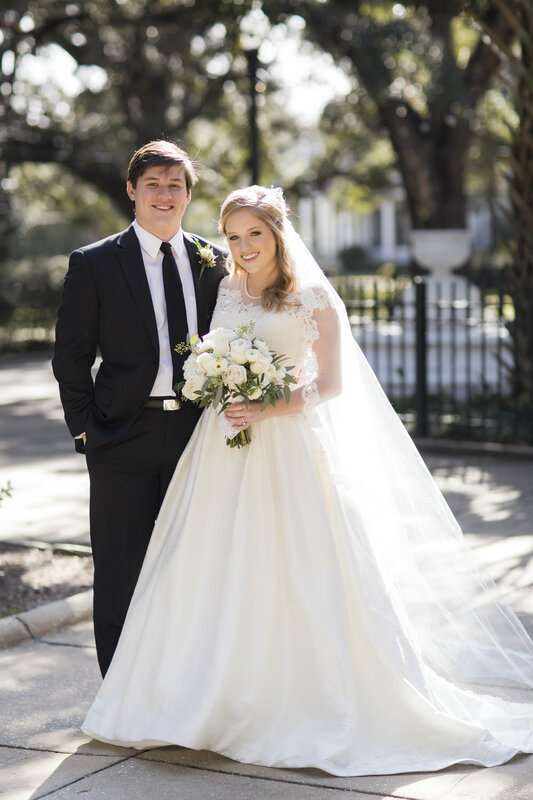 I couldn’t have been more excited about my dress, and I will always cherish my Build-A-Bride™ experience! Working with Heidi and team was such a dream. It takes you back to that moment of being a little girl dreaming of your wedding day and Heidi was there to bring to fruition every detail of your vision. They were not only the best bridal shopping experience, they became family. Even Liz came to my wedding! They provided so much attention to detail and they were so patient with me to determine exactly how my bolero and dress would look. I am forever grateful to them for building a dress that was better than I had ever dreamed. I am so proud to be a #heidibride. Everyone at Heidi Elnora made my mom and I feel like family when we were shopping for my wedding dress. From Heidi pulling the dresses to Joy and Liz sharing in our excitement, we felt completely comfortable. The craziest part was I only tried on one dress, the dress, and as cliche as it is, I just knew. I felt like the best version of myself. It was so unique to have Heidi explain her design intentions behind the dress and even having her video the moment I said "yes" to have for our memories forever. From stepping through the door to the historic Morris Avenue studio to popping the champagne, we loved every moment of our experience with Heidi Elnora. Heidi made my dress experience so calm and sweet. She designed the perfect dress for my figure and it was my exact vision. Everyone at Heidi Elnora worked so well with my parents who live out of state and helped them feel involved in the whole process, even from a distance. I would gladly recommend Heidi to any future bride! DREAM COME TRUE! From the moment you walk through their doors, you are their #1 priority. The atelier is stunning, Heidi and her staff are incredible, and the gowns could not be more beautiful! Southern hospitality at its finest! You can rest assured that you will be in very good hands when making this important decision. Everyone at Heidi's made us feel so comfortable. They actually listened to what we were looking for and helped us find the perfect wedding dress! 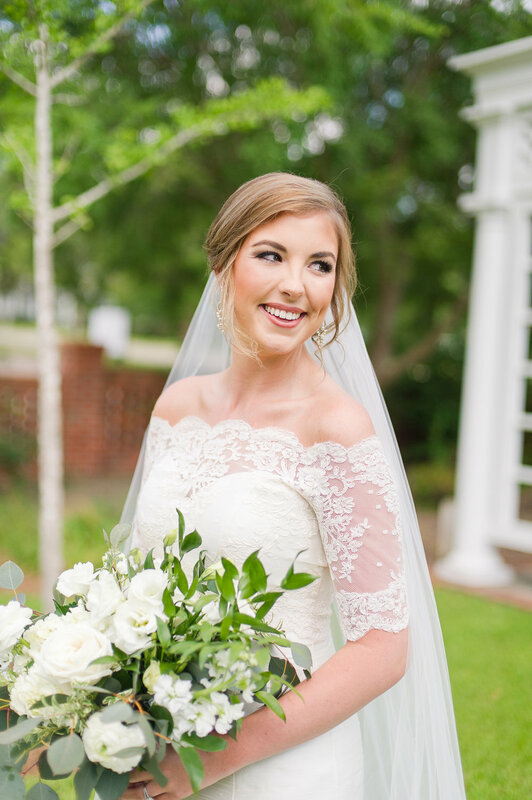 I felt absolutely beautiful on my wedding day, and all of our guests kept gushing about how perfect my dress was. Thank you so much to Heidi and her team for being the absolute best and easiest to work with!! Whatever your dream dress may be, Heidi can do it! She and Joy made my experience unforgettable! I wish I could relive my wedding day over and over again and I wouldn't change a thing. Being a #HeidiBride was a huge part of making this day so special. Thank you for everything each of ya'll did to make it so special and memorable. Had such a GREAT experience here!! They made my dress DREAMS come true. Elizabeth and Joy were so helpful and really made an effort to try everything! Can't wait to get my dress back! Heidi not only has beautiful gowns but an amazing team that is so knowledgable and kind. They made the experience everything it should be! Honest, thoughtful, and impressive. Liz, May May, and Joy helped me create a perfect dress. They also listened on the phone multiple times as I rambled about my vision, dress, etc. and were so helpful and patient when I went back in to confirm the design a second time and made that experience just as awesome as the first one. I LOVED my experience at Heidi's. I needed to find a dress to hide a medical device, and Joy was an angel helping me do that. Heidi was in the store during both of my appointments and it was amazing to hear her story and get to know her! She is an inspiration and the coolest #BossMom ever. Becoming a Heidi Bride has always been a wedding dream for me. When I got engaged, I knew that I didn’t want to look anywhere else. I was so excited just to call and make the appointment at the Atelier. Later that afternoon, Ms. Joy called and asked if I would be interested in having all of the Build-A-Bride dresses and accessories brought to me. She said that I could invite friends and family to watch me try on dresses and be the first bride to test out a new in-home bridal boutique experience. I was beyond THRILLED! Looking back, my dress buying experience was one of the most fun and memorable events from my wedding season. One of my amazing bridesmaids hosted the event that included my closest friends and family. For the next two hours we talked, laughed, snacked, and even shed a few happy tears while I found the perfect wedding dress. I could not imagine a better dress shopping experience, it was like an adult version of dress-up! After I found THE ONE, I had to have several alterations and fittings. Everyone at Heidi Elnora made this a great experience as well. Ms. Joy, Liz, and Carolyn went above and beyond to make sure that my dress fit me perfectly. 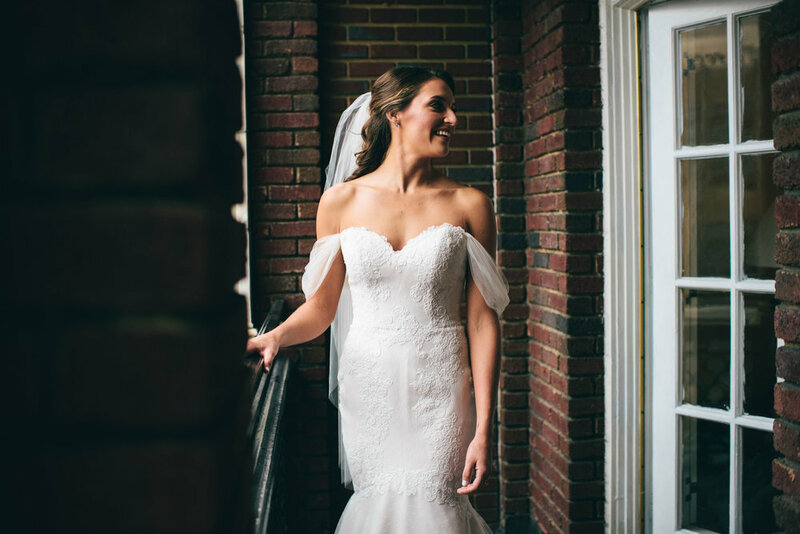 On my last fitting, they stayed long after business hours making last-minute changes and fixes so I would look and feel beautiful on my big day. I feel so incredibly blessed to have had both a one-of-a-kind dress shopping experience, and a one-of-a-kind wedding dress that was uniquely made for me. Simply amazing!! I cannot begin to describe the feeling I had after leaving Heidi Elnora's bridal boutique. My wedding planner told me that being an interior designer and having an eye for detail, I would appreciate the personalized experience that Heidi had to offer. It was just that and then some!! They did their homework on what my personal style was before I even come in. They were more than hospitable to my family and I and made me feel so special and excited the entire time. Even when I felt anxious, nervous, and overwhelmed the Heidi team calmed me and made me feel confident. Liz was my stylist and she is truly a blessing. The dress I ended up falling in love with was the first one they showed me and even on the hanger I KNEW it was the one!! I couldn't possibly be more in love with it!! Might I add that this was the first day I had even looked for dresses. My experience at Heidi Elnora Atelier was truly a dream!! Thank you to Maygan, Joy, and precious Liz and also to Heidi for designing the gown of my dreams! My experience was nothing short of absolutely amazing! Everyone made me feel stunning! From talking about things I liked, to making the tiniest of details, my time at the shop was a dream! My wedding date was soon, with my husband being military but the wonderful women made all my dreams come true! Living in San Francisco, I did most of my wedding dress shopping at the many bridal boutiques in the city. I had an upcoming trip home to Birmingham planned to visit my family. I wanted to do some dress shopping with my mom so she could share that experience with me. I had no intention of actually finding my dress in Alabama. I asked my brother's girlfriend for a recommendation, and she did not hesitate to recommend Heidi Elnora Atelier. My expectations were far exceeded from moment one. Walking into the cute storefront on Morris, I was blown away by the beauty of the showroom. Every dress was stunningly crafted, and we had the entire store to ourselves. Elizabeth helped us, and made me feel so comfortable and happy. It was the first wedding dress shopping experience that was actually fun and felt the way I had imagined it should. I knew as soon as I put on the Andy Darling that it was my dress. It was beautiful, comfortable, and perfect for our beach wedding in Mexico. The entire experience was flawless and so special. I received so many compliments on the uniqueness of my dress. I loved that it didn't look like every other wedding dress this season. Heidi Elnora dreamed up my dream dress! I was searching for something specific and was not having any luck finding exactly what I envisioned, much less something that was structured and made for my body. Heidi listened to my vision, which was to remain classic with simple lines, but to add an accentuating detail that would give it that WOW factor, and she nailed it. I LOVED my Build-A-Bride dress and would not have changed a thing! Thank you Heidi for your creativity and for being an inspiration to me and to so many other fellow artists! When I first walked in to Heidi Elnora Atelier, I knew I was in the right place. Everyone there makes you feel like they have known you your whole life. When I sat down with Elizabeth, she asked me questions not only about the dress I wanted but questions to get to know me and my personality. I feel like this is how I managed to find a dress that fit me perfectly in every sense! The excitement Elizabeth, Joy, and Heidi had when I put on the dress is what every girl dreams about. I can't thank them enough for making my day so special! Absolutely blown away by this shop and their staff! I could not have asked for a better experience for my first time shopping for a dress. Heidi and her staff created a friendly, down to earth atmosphere and blew me away with their bridal knowledge. I explained the style of dress that I wanted and showed her pictures, and she knew right away which dress to pull and that ended up being my dress! I would definitely recommend this shop to any future bride! Breathtakingly, beautiful dresses and the warmest, kindhearted staff you will find! It was a pleasure to work with Heidi's team from start to finish! Joy is fabulous; she truly cares about every bride. She addressed all of my concerns and helped me find exactly what I was looking for. Elizabeth is so talented! Her bubbly energy made my experience fun & exciting as we discussed possible dress designs! Every member of Heidi's Team went above and beyond to make sure not only was I comfortable, but also made my family feel welcomed & taken care of. 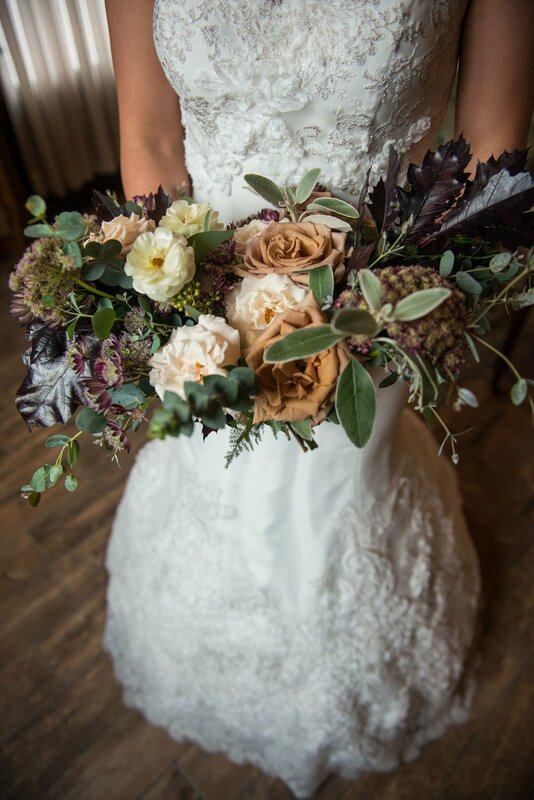 I would urge every apprehensive bride, that no matter your budget, Heidi & Her Team will help you become a fabulous #heidibride! My Mom and I visited Heidi Elnora Atelier while I was home for the holidays and I was able to find my dream gown for my beach wedding in May. Liz and Joy were so kind and helpful! We had the best time trying on gowns and picking out the perfect one for my big day! Such a memorable experience that we’ll both never forget! I cannot express how much I loved my Heidi experience and Heidi dress enough! Liz and Joy were such a pleasure to work with! They knew right away that I was more of a Hello Darling kind of girl and had me try on three dresses from that line. 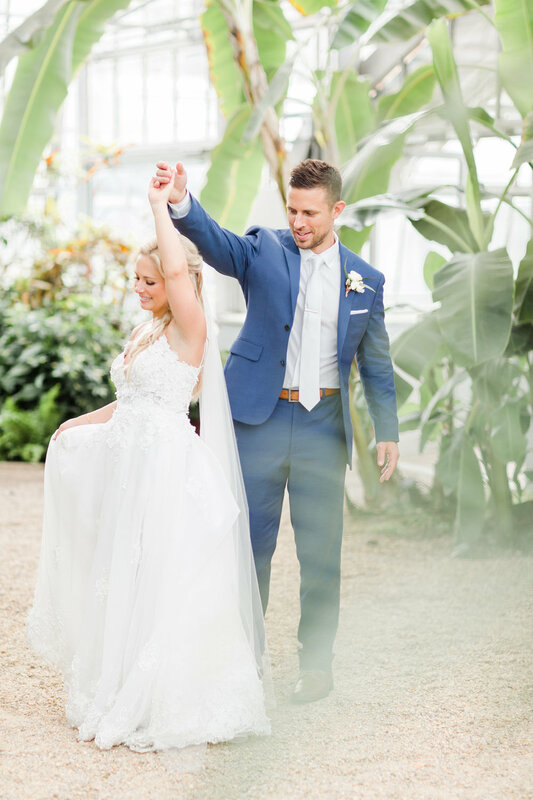 I fell instantly in love with Breeze Darling...the romantic 3-d lace flowers, the lightness of the dress and the low back were perfect for our wedding at the Botanical Gardens! Liz and Joy made the whole experience so enjoyable and easy. They treated my friends and I to champagne when I knew the Breeze Darling was my dress, they held the phone to Facetime my mom who was in another state at the time and they made me feel like a princess! They are simply the best! 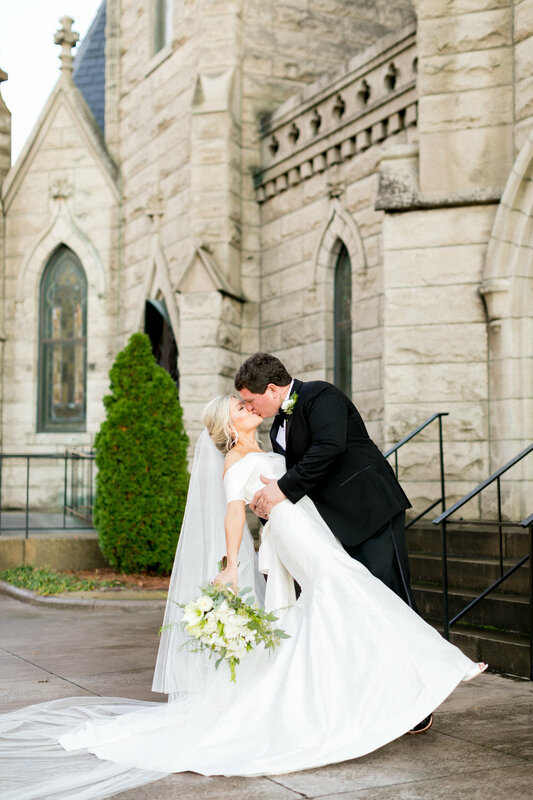 If you are engaged and looking for YOUR perfect gown, you MUST visit Heidi Elnora Atelier! The shop is beautiful and the staff is wonderful,knowledgeable, and accommodating. It was a “pressure-free” environment and they made the whole experience effortless (Elizabeth and Joy rock)! A bride has off-the-rack options or can create her own unique gown. It is truly a one-of-a-kind wedding dress shopping experience tailored to be as unique as the bride that wears the dress!! I cannot say enough positive things about Heidi Elnora Atelier. Elizabeth and Joy were a pleasure to work with and treated me as part of their family. Everything I asked for they provided. They never told me no. I had had such a horrible experience dress shopping at the 3 previous shops I had been to and Heidi was such a breath of fresh air. I was able to build my own gown within my budget and get everything I wanted. I would highly recommend going to Heidi Elnora Atelier. I went with a friend to try on dresses and fell in love with the team of amazing people who spend every day making dreams come true! Elizabeth and Joy were so kind to her and made the experience so easy. They are so creative and helped her to find the perfect gown. I can’t wait to return when it’s my time to find a dress! heidi elnora Atelier was the first and only place I shopped for my dress and it was an amazing experience! 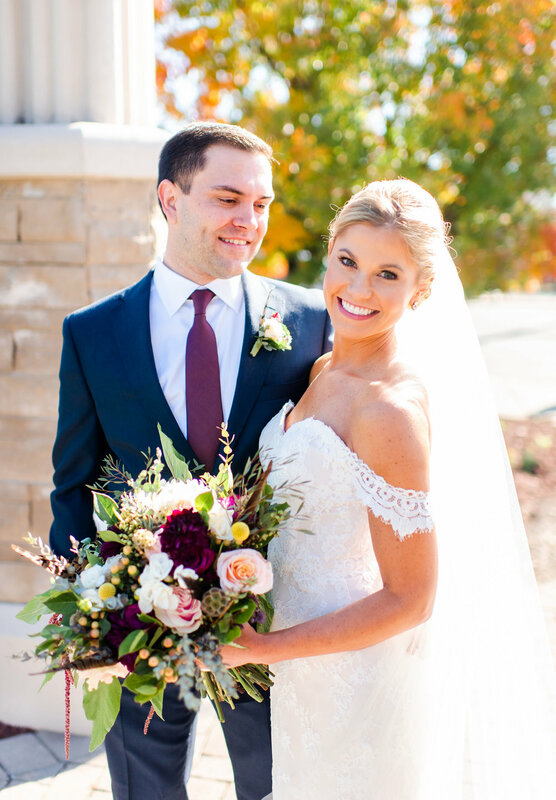 My husband and I both wanted the wedding to be a stress-free and fun experience from start to finish and shopping at the Atelier was no exception. I wasn’t sure what style I would go for, so they showed me lots of different dresses and let me take my time debating between dresses. In the end I chose the first dress I picked out and tried on and it was perfect! 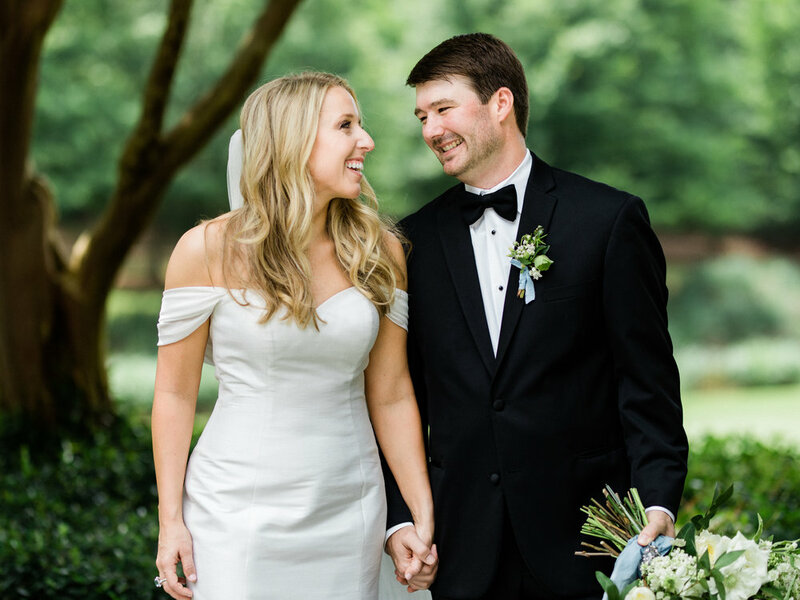 I felt great on my wedding day - my dress was not only beautiful, but also comfortable and light enough that it was easy to dance the night away. Thank you to the whole heidi elnora team for being part of our big day! 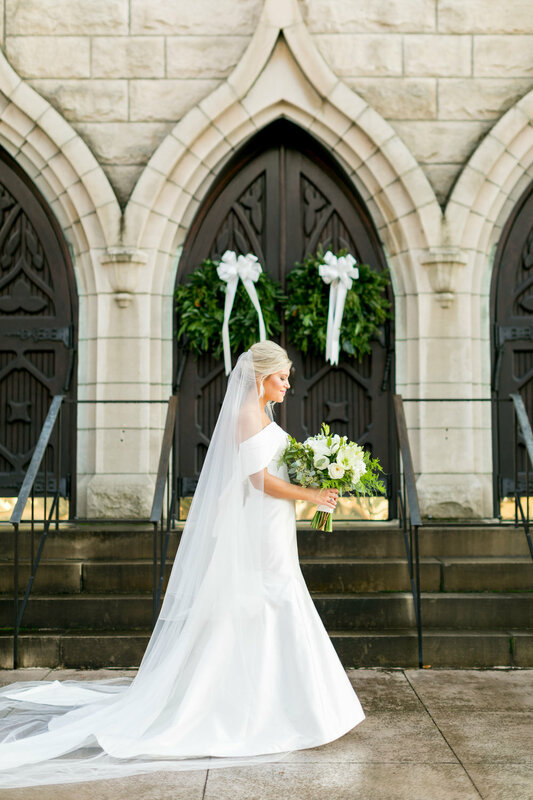 My bridal experience as a Heidi Bride was perfection! You know the saying, “Beautiful inside and out”, well that is how I would describe Heidi Elnora Alterlier. Not only is every single detail in the Alterlier absolutely stunning, but Liz and Joy are two of the most beautiful and kind ladies on earth. I felt so welcomed, loved, understood, and comfortable as I worked with them to build my DREAM dress! 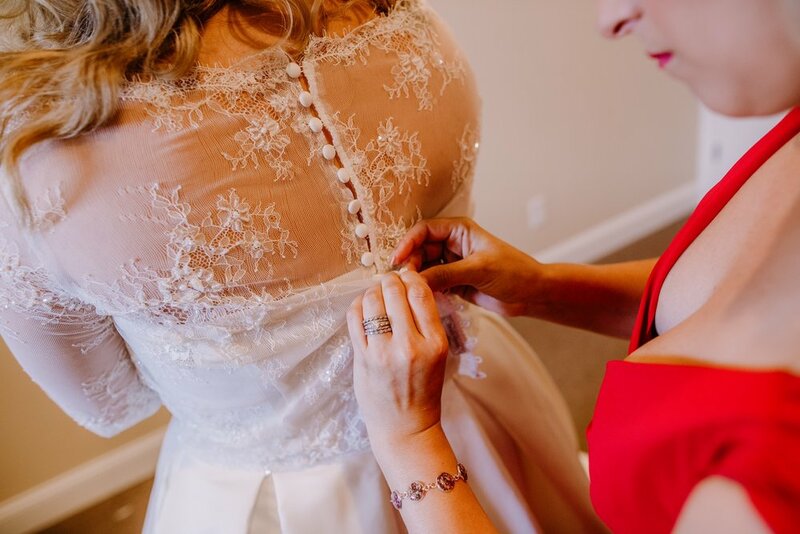 Heidi’s attention to detail and love for her brides was present during every step of my dress journey. I’m proud to be a Heidi Bride and I would recommend Heidi Elnora to every bride-to-be! The ladies at Heidi Elnora are incredible! They made me feel so loved and special when I went in to look for my wedding dress. They had so much patience with me as I tried on so many dresses, and then eventually helped me customize my very own gown. The store is gorgeous, all the gowns are amazing, but the Heidi Elnora family is the best part. So personable, so loving, and so sincere! 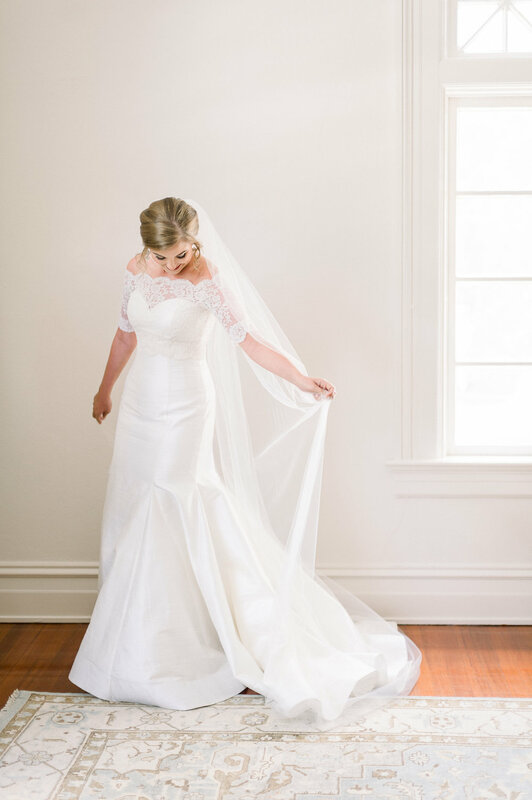 I LOVE my wedding dress and highly recommend Heidi Elnora Atelier!!! Heidi Elnora was the first bridal boutique on my list! My aunt gave me some advice before going in- don't fall in love with one of the first ones you put on. She was a believer in shopping around at multiple boutiques to find the perfect dress. But of course, the third dress I tried on ended up being the one. I felt no pressure to buy a dress and they did an awesome job helping me stay on budget. Liz and Joy made the experience so laid back and fun! They are truly invested in you during your visit and I would recommend them to anyone anywhere! Heidi elnora Altelier is by far the best place to go dress shopping in Birmingham! The entire staff was so incredibly helpful and caring. Liz was the BEST! She was so patient as I tried on different dresses, and she knew exactly what I had in mind. I found the most beautiful dress, and I could not have done it without her! The entire staff made me feel like the most special bride from the moment I walked into the door! 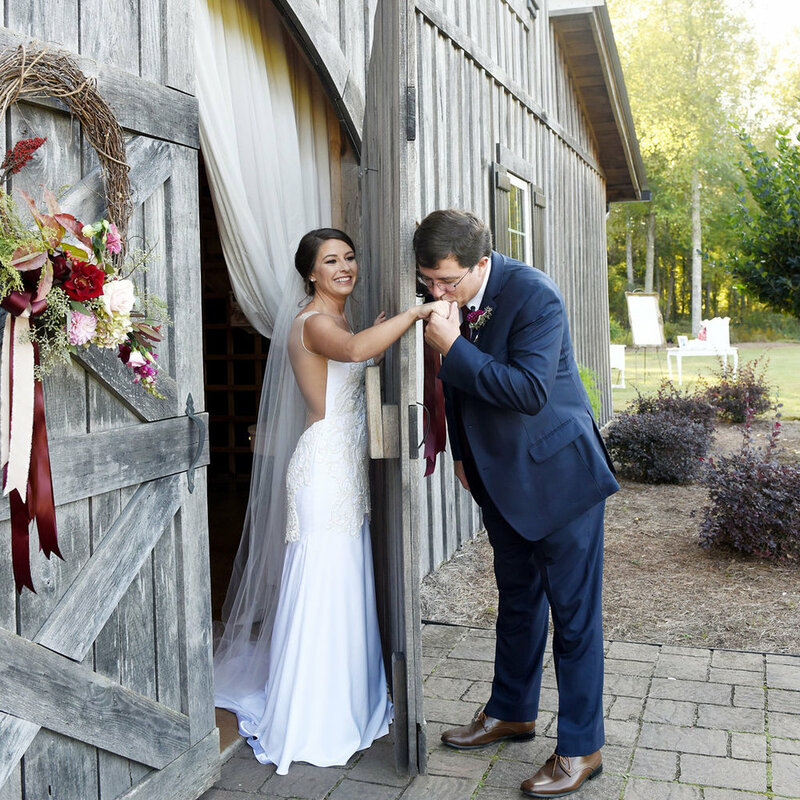 If you are dress shopping in Birmingham, you have to check out their bridal boutique! You will not be disappointed! I could not have had a better wedding dress buying experience. Elizabeth was absolutely lovely and helped find the perfect dress for me. Becoming a #heidibride has been my favorite part of the wedding planning experience so far! I cannot say enough positive things about Heidi Elnora Atelier. Heidi and her team were a pleasure to work with and treated me like family. 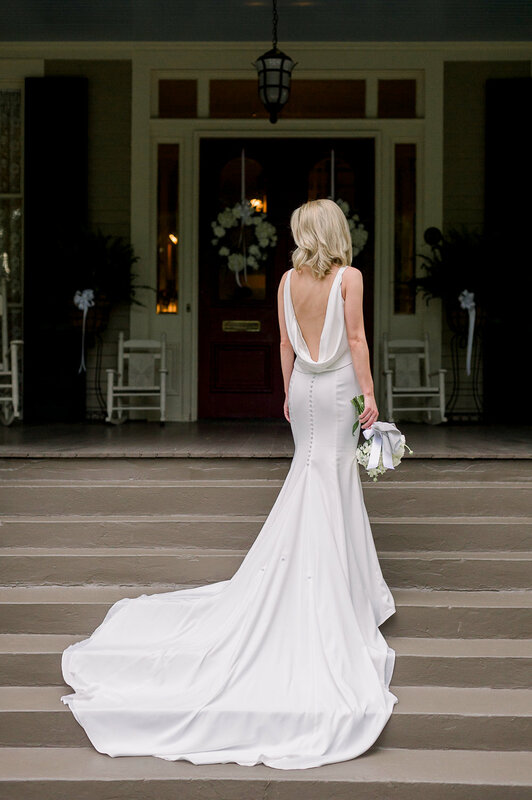 I feel every girl tries to imagine what the experience is going to be like when they first try on a wedding dress, and the team at Heidi Elnora Atelier made that more special than I ever could have dreamed of. 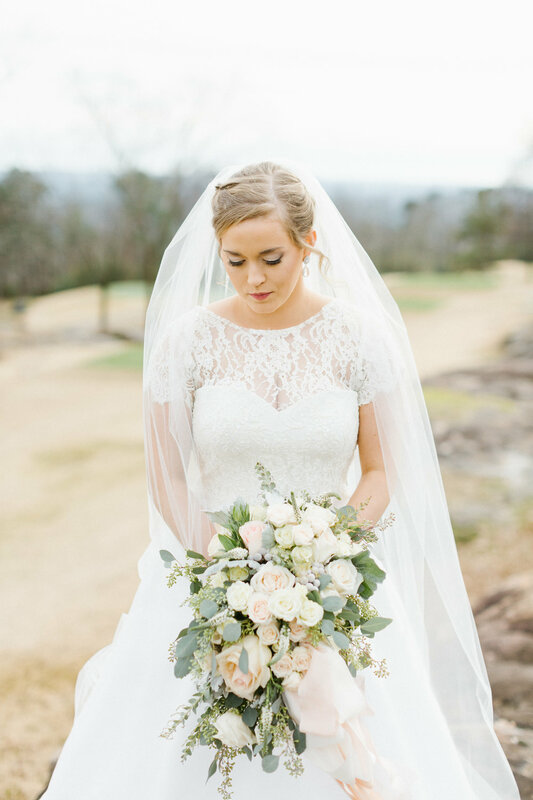 We incorporated the lace from my moms wedding gown with the lovely Ella Grace dress to create my heirloom gown. I can not begin to describe the feeling of joy that I have when I think about my wedding gown. Working with Heidi and her team was truly an experience my mom and I will cherish forever. -I can not say enough great things about Heidi and her girls!! They are the best! Best place to find the perfect wedding dress:). -The best experience I have had while looking for a wedding dress! And I have been to several places in Birmingham/Jasper/Atlanta. No one compares! Thank you for the wonderful experience, Heidi girls! I am so happy I chose to visit Heidi Elnora Atelier! Heidi was genuinely precious and I enjoyed every second of my appointment. All of the dresses are gorgeous, but she created a combination that was perfect for me. I was lucky enough to have Heidi be my consultant, buteveryone else was also knowledgeable and friendly. She was considerate of our budget and made every part of the experience enjoyable. I am so glad I chose to be a Heidi Bride! Getting to meet Heidi and have her help in selecting the perfect wedding gown was a dream come true. The entire Heidi team was so amazing and they made this special experience everything that I had hoped for and more. I can't thank them enough for not only the one-on-one attention in helping me try on dresses, but also the welcoming and warm environment they created for my bridesmaids and I to really enjoy the process. Heidi and her team truly are amazing! I felt right at home the minute I walked through their door and they each made me feel so special. I cannot say enough good things about Heidi Elnora Atelier. Heidi, Elizabeth and Joy are the best of the best! To sum up my experience at Heidi elnora I would say absolutely perfect! From beginning to end everything was more than I could have ever expected! Ok so you are engaged and if you are like me, you have zero clues as to where to start looking for a dress. No I'm being serious - literally NO IDEA of what you want and where to find it. 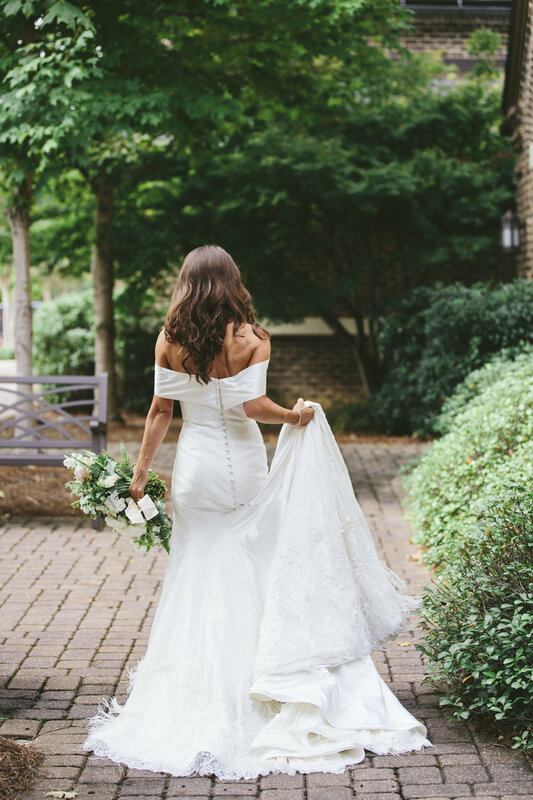 Of course we all know that there are some seriously amazing bridal boutiques in Birmingham but believe me when I tell you that the Atlier is where you have to go. Start there and you will end there. I walked in and I just had to be a part of the family. And you ARE family. I felt special and important during the entire experience. Liz was my go-to girl: y'all she became like my best friend in minutes. So sweet, kind, and accommodating. Let's not even get started on Heidi. She's brilliant. She can make you a dress of essentially your own design OR you can rock one of her magical concoctions (which is what I went with). Oh wait, she's also a super cool person. Her dresses are unique yet modern, timeless and elegant. And even better, you can put your own touch and style on them. Does it get any better than this girls? Long story short, this place is just everything I wanted and more in a bridal boutique experience. I'm honored to be a Heidi Bride. Favorite place, favorite people, the BEST part of my wedding experience so far!! I cannot say enough good things about their service! I had absolutely no clue what I was looking for in a gown, but they spent FIVE HOURS with me (yes, you read that correctly!) making sure I was not only satisfied with my gown, but absolutely smitten over it! All thanks to them, I absolutely cannot wait for February 3rd!! I walked into Heidi Elnora hoping to just try on silhouettes to see what fit well and I walked out with the perfect dress. I truly feel like the dress we picked was “me” in a dress! Heidi even convinced me with “a ring on my finger and a man that loves me” there was no reason to have a 2 year long engagement and it quickly changed to a one year engagement with my fiancé! Thank goodness! I had searched multiple stores in Atlanta and was feeling down about not finding the dress. As soon as I perused the Heidi Elnora website, I knew this is where I would find my dress. Using build- a- bride, I was able to pick a dress style, pick the fabric, and make additions that made my dress unique to me. My favorite detail was the train! The process was so easy and I loved that my dress was made for ME. Heidi and her team were created to create. During my first visit to Heidi Elnora Atelier, my dream wedding dress was born in Heidi's sketch book. One and a half years later that sketch came to life at the hands of Heidi's amazing team. While they seemlessly fulfill the call to create the dress of a lifetime, they also answer the highest call: to love. Each encounter with Heidi and her team left me feeling seen, heard, and important. May every bride have the opportunity to marry the love of their life wearing a dress that is stitched with love. I cannot say enough good things about the Heidi Elnora team! I was having a lot of trouble finding a wedding dress that I really loved until I came to Heidi Elnora. 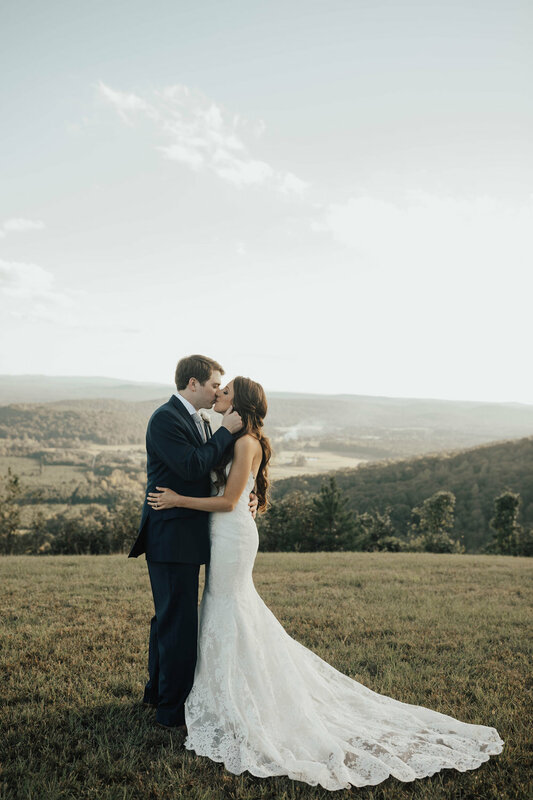 Elizabeth was so incredible to work with, she has such a creative eye and ability to make a dress uniquely tailored to your preferences. I would strongly recommend Heidi Elnora to anyone in the area, we drove 3.5 hours to come and it was worth every minute!! I cannot wait to wear my dress!